Bill Farrow brought a load of surplus dev kits to the October 12th meeting. These were divvied up at the end of the meeting. 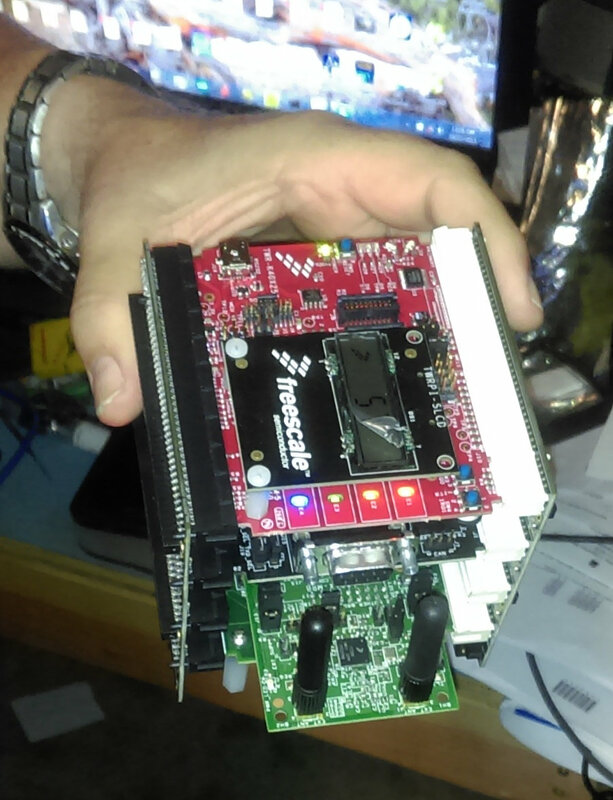 Gene Kahn has already started working with his Freescale Tower kits. Fluid modeling of resistance, current, potential, capacitance, and inductance by Ryan Shuster. The last part of the meeting will be the usual open forum. Bring your show and tell items, problems needing help, etc. THERE WILL BE AN ASSORTMENT OF DONATED DEV KITS TONIGHT AND ATTENDEES WILL DECIDE WHAT TO DO WITH THEM AT THE MEETING. Location, maps, and other details on the meeting page here.